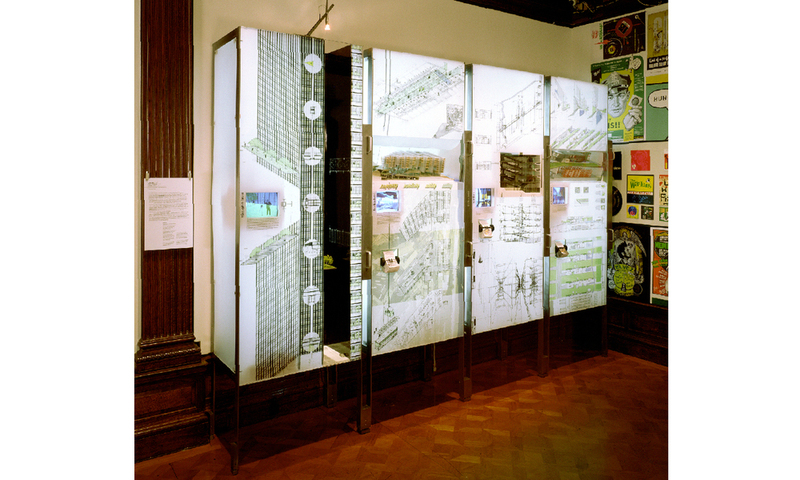 The installation Refiled was part of the first National Design Triennial at the Cooper-Hewitt, an overview of the leading developments in American architecture and design at the start of the new millennium. 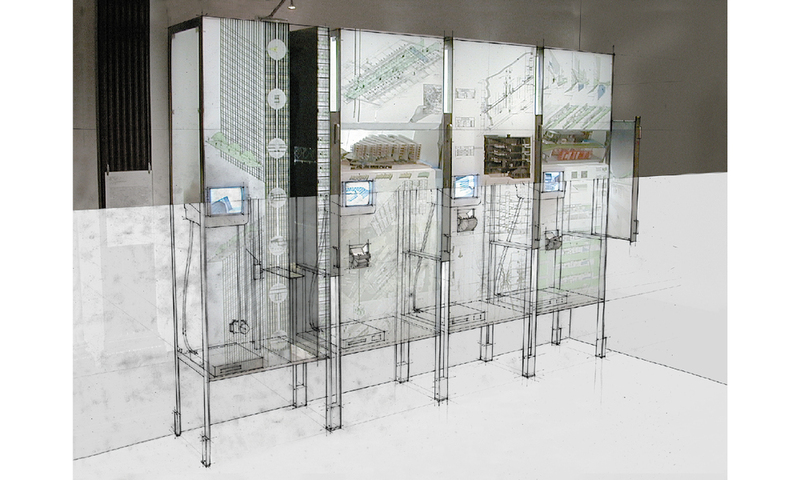 Asked to produce an installation under the general heading of "reclaimed," LTL designed and built a piece that plays upon outmoded systems of filing and classification. The installation is a hybrid between a light-box, a cabinet of curiosities and storage filing system, reconfiguring all into an apparatus for display. The project is intended to challenge the norms by which architectural information - graphic, three- dimensional and textual - is stored, organized, accessed, and presented. Refiled is an installation in its own rights, as well as a frame for displaying four projects: Mies-on-a-Beam, Tourbus Hotel, Sportbars, and New Suburbanism.